So....yesterday was a snow day. We'd already done the 8:30 am "playing diggers in the snow" thing. 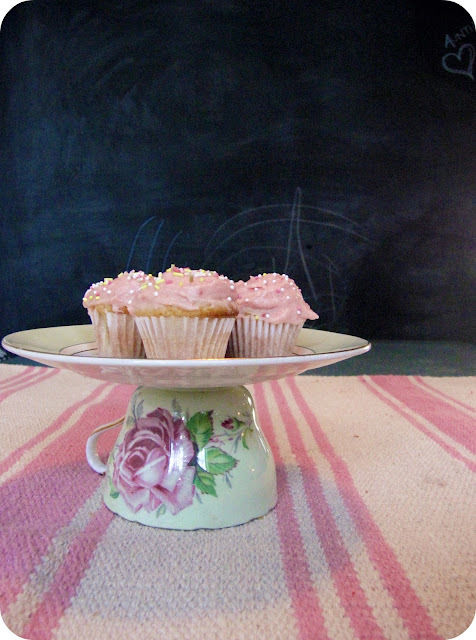 I think every day should be a cupcake day, personally. 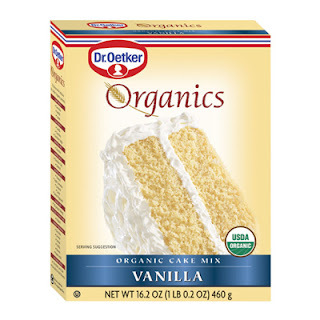 So....since we had limited time while Finn was napping, we pulled out a trusty Dr. Oetker Organic Vanilla cake mix. If you haven't tried this....I would recommend you do. In my opinion, it's the best, most home-made tasting, moist cake mix out there. And don't bake it as long as it says on the box. For mini cupcakes, I find that 13-14 minutes is perfect. 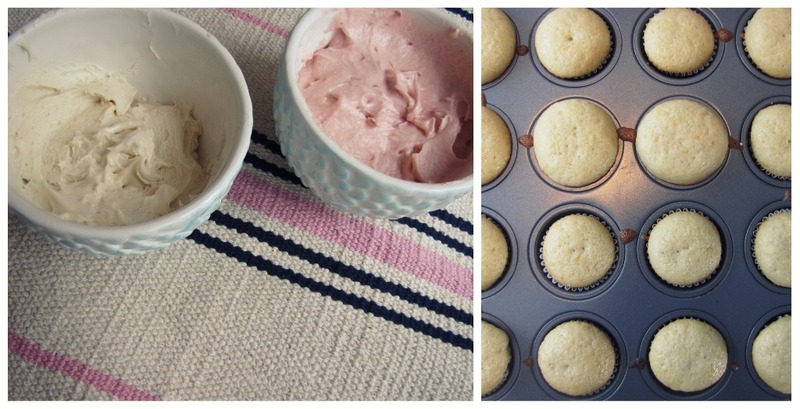 For regular sized cupcakes, 18-19 minutes is good. Not the 20-25 that they suggest. Now....we all know that the icing makes the cake, right? I actually originally added the raspberry jam because Toby had requested pink icing, and I was avoiding food colouring (it doesn't agree with him). I can just see it on his resume...."Excellent cupcake sprinkling skills"
I sure know how to raise 'em ;) Good skills and all! 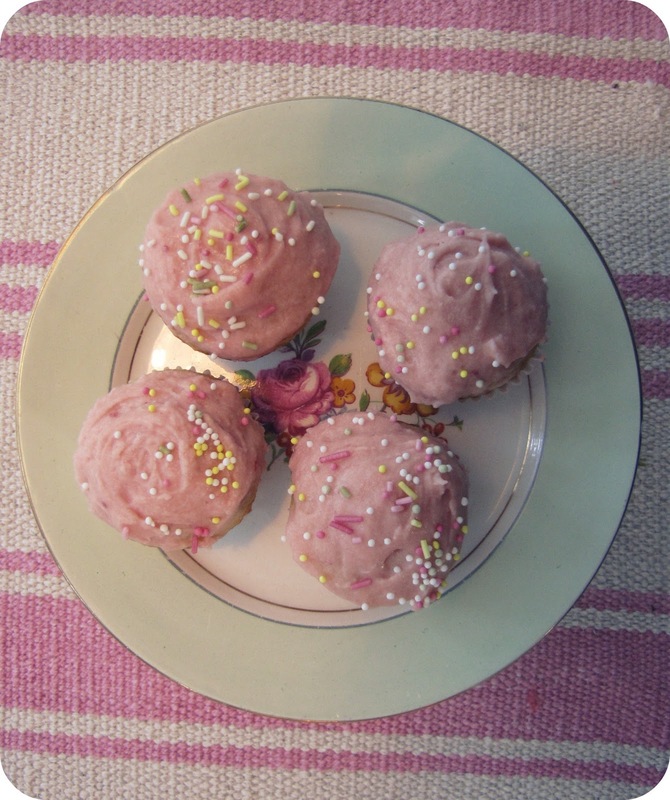 And there they are....the "sprinkles"..
and yes....they're organic and coloured with beet juice and the like. There is such a thing....can you believe it? and then about 6 more this morning. And then little Finny spotted them. Not cookie, Finny, but close enough. 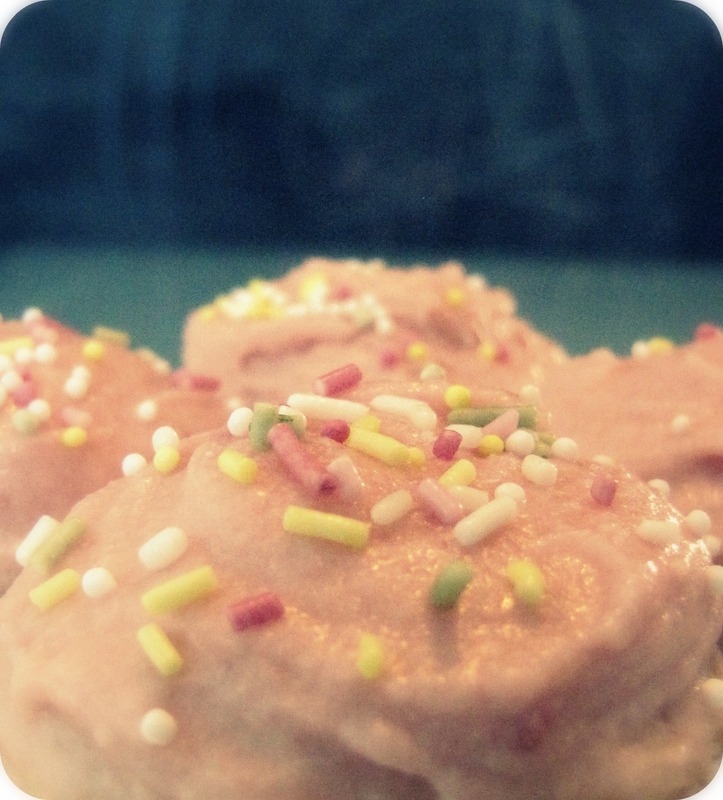 I licked the icing off and handed him a cupcake. Someone please come over and eat the rest for me! I simply don't have it in me to resist them. mmmmmm! dr. oetker is wonderful! another discovery for healthier alternative? applesauce instead of the 1/2 cup of oil or whatever it is...i find that the little applesauce tubs are perfect size (and any flavor works)! your cooking/baking photos in last two post have me salivating!!! 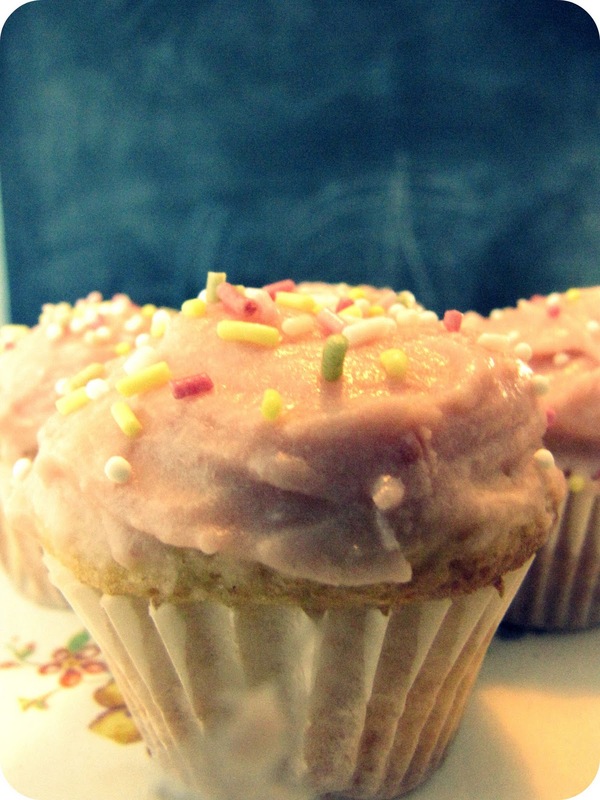 Your cupcakes look so delicious! Its no wonder you had to have 4!.. making me hungry now! Look at you in your house full of boys making pink cupcakes & sprinkles!!! I think you may have found a new way to get your 'pink fix'! NOMMMM..... you can send some over to yer lovely sis ANYTIME! Can you guess what I'm craving now?